NorthernJazzLive: Jazz to warm your heart in Leeds! 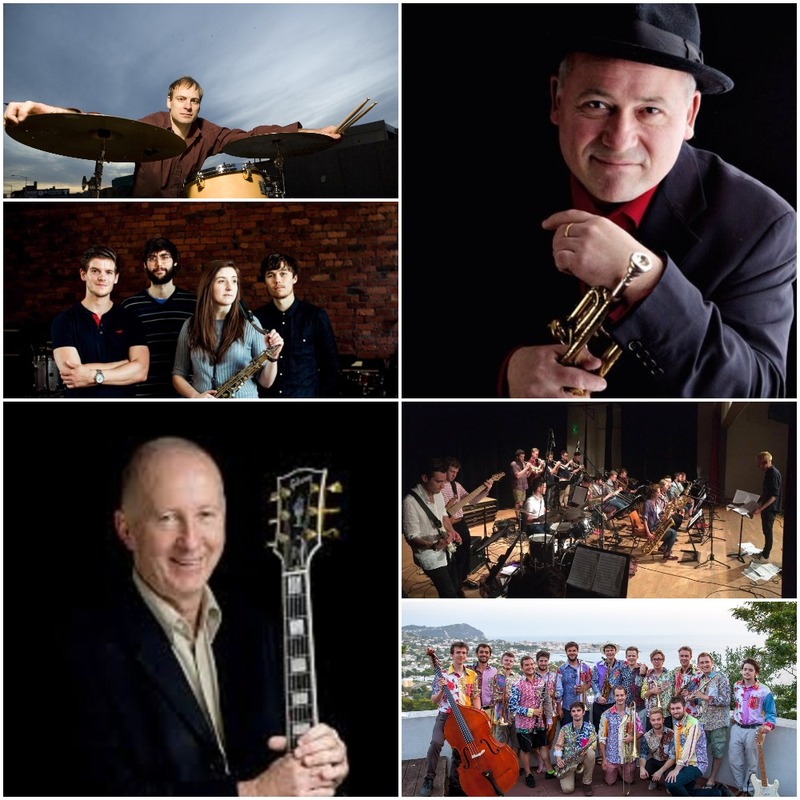 A lot to look forward to this month - music from two big bands, jazzy-pop, women led groups, international musicians from New York, plus a new venue! We have six bands concert for you, plus to start - one of our ever popular jazz cafes at Inkwell.. .
Jazz Cafe and Jam session Sunday afternoon 3 Feb 2019 @Inkwell Leeds £7/5, performers and kids under 16 free. 1.30-4pm Come down and listen or join in at our Inkwell February jazz jam. Friendly and supportive (and free!) for performers whether instrumentalists or singers. All ages welcome. Jazz trio to support you - Matt Aplin piano, Steve Crocker bass, Steve Mullarkey drums. Emma Johnson’s “Gravy Boat” with Nishla Smith Jazz Leeds/Madame Jazz presentation, Sunday afternoon 10 Feb 2019 @Seven Arts 1.30-4pm £10/8 Emma Johnson sax, Calvin Travers guitar, Angus Milne double bass, Ali Wells drums, Nishla Smith vocals. Emma’s first project for small ensemble aims to explore the different textures and possibilities that emerge from a small band of close knit musicians performing together. Nishla Smith moved to the UK from Berlin in 2017. This year she has been one of Manchester Jazz Festival’s talent development artists. Jazz at Roundhay opening night feat Enrico Tomasso Friday evening 15 February @The Bar on Park Lane 8pm-11pm Doors 7.30pm Tickets £10/8 Enrico Tomasso trumpet with Andy Cholerton keyboard, Steve Crocker double bass Paul Smith drums. A new monthly jazz session on the third Friday of every month in Roundhay in Leeds. We’re starting off with a special visiting guest swing trumpeter and vocalist (and a Leeds lad) Enrico Tomasso. We’re hoping for great things from this new Jazz Leeds venue! Come and join us at The Bar on Park Lane next to Roundhay Golf Course. Ample car parking. Tickets www.ticketsource.co.uk/sevenleeds or on the door if not sold out. Derrick Harris’s Be-pop Quartet @Inkwell Sunday afternoon 17 February 1.30pm £9/7 (25 and under £5 kids under 16 free) Derrick Harris guitar, Jez Platt piano/organ, Paul Chamberlain bass, Paul Smith drums. Guitarist Derrick Harris arranges seminal pop tunes in a jazzy format. As well as leading his own groups, Derrick frequently guests as a soloist with bands up and down the country. Leeds University Union Big Band Sunday afternoon 24 Feb 2019 1.30-4pm £10/8 @Seven Arts, 25's and under £5, kids under 16 free A welcome return for this big band who play a wide variety of dance band/big band repertoire including swing, funk and jazz. .
See you soon as one of our gigs!